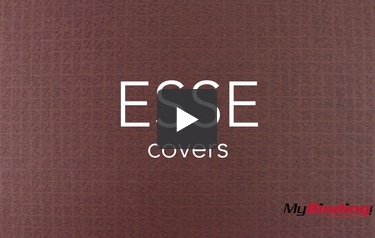 Transcript: These are Esse Covers! One variation has a textured square pattern on the front, and the back is flat and smooth. The pearlized variation is shiny and smooth, glistening in the light. They come in thicknesses of 80 pound, 100 pound, and the pearlized are 105 pound.